SOLEMATES has a sleek and curved exterior design by Espen Oeino and her interior is the well-regarded work of Glade Johnson. She was built under the supervision of the Moran Yacht & Ship new construction team and was launched in 2010. 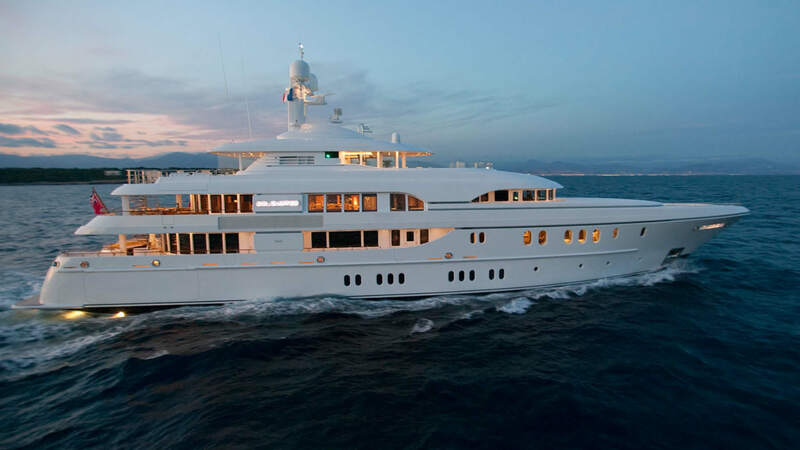 She is a spacious and voluminous motor yacht that can accommodate twelve guests in six luxuriously appointed staterooms. The interior blends elegant classical details with contemporary elements. The main and upper deck salons of SOLEMATES are flushed with natural light. These areas offer guests huge spaces for formal dining on the inside, or more casual dining on the outside. The sundeck provides another outside dining and sunbathing area that wraps around the forward Jacuzzi pool.